It’s no secret that I am a big fan of iPhone, I have had every single model except for the very first one. You may also know that I am a hi-fi enthusiast with a picky taste, and years back before iPhone existed I was a big fan of iPod. I loved that awesome mp3-player, had it with me all the time. As a matter of fact I wore several iPods out completely, that’s how much I used them! In my pocket I always had my iPod and my cell phone, which back then was everything from Nokia to Sony Ericsson. I did try some of the Sony Ericsson Walkman edition cell phones but I was never really impressed by the music sound quality. So when apple released a cell phone iPod I was hooked. A few weeks ago I upgraded to iPhone 5, obviously, and was amazed by that they somehow managed to improve the sound characteristics even further compared to the previous 4/4s models. 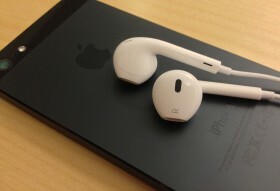 Okay so the old Apple iPod/iPhone headphones are really horrible, a sad excuse for a pair of headphones to be honest. But now they even managed to make the included headphones decent! All Samsung vs. Apple, Android vs. iOS flame debates aside, iPhone is truly an awesome portable audiophile grade music player! And this is what I claim to be the often neglected features of iPhone, the actual music reproduction capability. Why is this completely forgotten and over looked? ← EA Origin Hacked, but everything is fine!